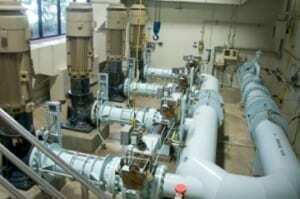 All businesses have an obligation to ensure waste water meets required standards of discharge. When waste is discharged into streams, rivers or the sea, consent to discharge is generally required and water must contain limited levels of contamination, within very strict parameters. Failure to comply with these requirements can lead to fines, operational and discharge levies being placed on companies and sometimes even closure of the operating facility. Whatever the level of contamination we design a treatment process, install plant and chemical treatment programmes to clean water and manage sludge, reducing environmental impact to a minimum. We have a range of high-performance coagulants and flocculants, specifically formulated for use in a wide range of waste water and effluent treatment applications. On-site testing kits are available to control the process. Measures and remedial activity can be recorded in your log-book, which highlights necessary actions; colour coded red, amber and green. Waste odours are often an issue requiring control. These odours often stem from anaerobic activity and the resulting sulphur compounds such as hydrogen sulphide, which can be treated in the liquid phase with our range of odour treatment chemicals. We have an innovative range of enzyme based chemical products effective for use in grease traps - a real time saver in a busy food plant. We supply a cutting edge range of products to combat bacterial growth in drip trays used to trap condensate in humidification plant, air conditioning systems, humidifiers, tanks and water features. The condensate that accumulates in drip trays, can provide an environment where the Legionella bacterium can flourish. To find out more about how we can support your treatment of waste water, odour, grease traps or drip trays used in humidification, please call us on 0870 460 2980.